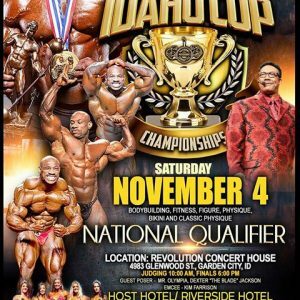 The Night of Champions in Spokane, Washington is done and over. As I came back to work to The Group Real Estate, the southeast Idaho Real Estate company that I work for, I was a bit down. There is a strange depression that sets in as you come back to “the real world.” We all have those moments where we are on a sensory high and then we have to come back to the norm. As I have gone forward with this, I lucked out knowing that I am going to be with my teammates again, on the stage again, and going through another peak week (which I am in as I type this) has set that flame again. This is the opposite of it all. It is more like the anticipation of Christmas for a little child, or, lets be honest, most adults. The time frame getting to Christmas goes fairly fast and we are thinking it crazy that we are going to be celebrating Christmas holidays so soon, then they get here and the time frame leading to the day goes by slowly and we are almost in a dream like feeling. That is exactly where I am during this peak week. I have a new determination to do better than I did just two weeks ago, but I also feel as though the time is moving slow and I am wanting this weekend to be here quicker than it is approaching. One of the amazing moments that happened in Spokane was reeling in the notion of having a pro bodybuilder back stage with us, taking us to do the things we needed to in eating the right things, posing at the right times, having him around was a wonderful blessing for my first show. After this moment happened, he reached out to me, asking if he could train me and be my mentor leading up to a show that I want to do next April. This elated me beyond reason, and I am excited to know that he will be my coach and mentor going forward. After hearing this amazing news, and knowing that it was going to happen, going forward, I was also elated to know that he was going to be there this weekend in Boise. So as I go forward, knowing that he will be there, knowing the way that it all went this last time he was there, I have an even great confidence that I will be able to do as well as I did last time, knowing that his mentor-ship is going to be there with me. This is something that is also making the week go by as slow as it is. The excitement of doing this all again with my teammates and sharing that stage again with my best friend, and teammate, Steve Thomas. This is a time that will last in my memories forever. As I look forward to more shows, I was always looking at this as a bucket list type of deal, I made sure, as I have gone forward even more with this, that it is something that I need to keep going forward with. The reason being, is moments just like this. It is the same reason that we look forward to holiday time. It is a time to celebrate the things we love, have done and will do. This is the same for me when it comes to doing these shows. I love them. And they are what will continue to drive me going forward.